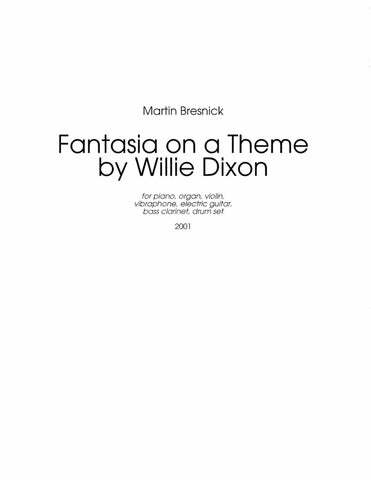 Martin Bresnick was born in New York City on November 13, 1946. He was educated at the High School of Music and Art, the University of Hartford (B.A. l967), Stanford University (M.A. 1968, D.M.A. 1972), and the Akademie für Musik, Vienna (1969-70). His principal teachers of composition were György Ligeti, John Chowning and Gottfried von Einem. 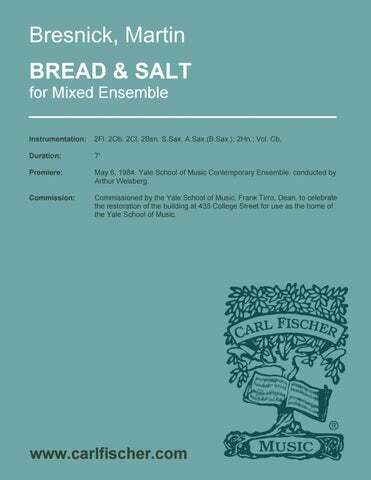 Presently Professor of Composition and Coordinator of the Composition Department at the Yale School of Music, he has also taught at the San Francisco Conservatory of Music (1971-72) and Stanford University (1972-75). He has served as the Valentine Professor of Music, Amherst College (1993), the Mary Duke Biddle Professor of Music, Duke University (1998), the Cecil and Ida Green Visiting Professor of Composition, University of British Columbia (2000), Composer-in-Residence, Australian Youth Orchestra National Music Camp (2001 and 2004), International Bartok Seminar, Director of Composition (2001), Visiting Professor of Composition, Eastman School of Music (2002-2003), Visiting Professor, New College, Oxford (2004), Housewright Eminent Scholar and featured Guest Composer, Florida State University (2005), Visiting Composer, Royal Academy of Music, London (2005). Mr. Bresnick was elected to membership on the American Academy of Arts and Letters in 2006. 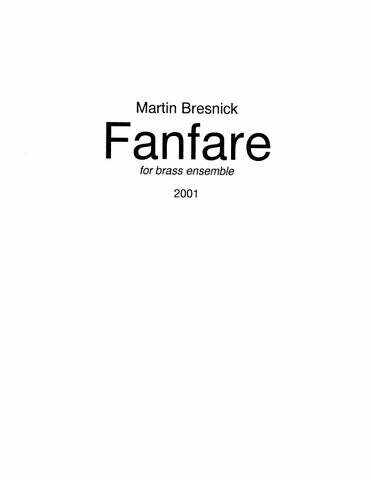 Martin Bresnick’s compositions cover a wide range of instrumentation from chamber music of all types to symphonic works and computer music. His orchestral music has been performed by the National Symphony (which commissioned Encore), Chicago Symphony, American Composers Orchestra, San Francisco Symphony, New Haven Symphony, Münster Philharmonic, Kiel Philharmonic, Orchestra of the Radio Televisione Italiana, Orchestra New England, City of London Chamber Orchestra, Orquesta Sinfonica do Estado de Sao Paulo, St. Paul Chamber Orchestra, Bilbao Orkestra Sinfonika, and Itzumi Sinfonietta Osaka. His chamber music has been performed in concert by The Chamber Music Society of Lincoln Center, Sonor, Da Capo Chamber Players, Speculum Musicae, Bang on a Can All Stars, Nash Ensemble, Music Works, Zeitgeist, Left Coast Ensemble, Musical Elements, SÃ…Â percussion, Mimesis Ensemble and Eighth Blackbird. His music has been heard at numerous festivals throughout the world, including Sonic Boom, Bang on a Can, Adelaide, Israel, Prague Spring, South Bank’s Meltdown, Almeida, Turin, Tanglewood, Banff, Norfolk, ISCM, New Music America and New Horizons. He has received commissions from: The Norfolk Chamber Music Festival (1985), Orchestra New England (1986), Connecticut String Orchestra (1986), Monticello Trio (1988), Koussevitzky Foundation (1989), Meet-the-Composer Reader’s Digest commissioning program (1992), Greater Bridgeport Symphony (1992), National Endowment for the Arts (1992), Institute of Sacred Music (1993), Macon Arts Alliance (1994), Fromm Foundation (1995), Lincoln Center Chamber Players (1997), Sequitur (1997), Connecticut Commission on the Arts (1997), Meet the Composer (1998) and Chamber Music America (1999), among others. Bresnick has also received many prizes, among them: a Fulbright Fellowship (1969-70), the Walter J. Gores Award for Excellence in Teaching at Stanford University (1973), three N.E.A. Composer Grants (1974, 1979, 1990), ASCAP Awards (1975-present), Rome Prize Fellowship (1975-76), MacDowell Colony Fellowship (1977), Morse Fellowship from Yale University (1980-81), First Prize, Premio Ancona (1980), First Prize International Sinfonia Musicale (1982), Connecticut Commission on the Arts Grant, with Chamber Music America (1983), two First Prizes, Composers Inc. Competitions (1985, 1989), Semi-finalist, Friedheim Awards (1987), The Chamber Music Society of Lincoln Center, Elise L. Stoeger Prize for Chamber Music (1996), the “Charles Ives Living” award, America Academy of Arts and Letters (1999), Composer-in-Residence, American Academy in Rome (1999), the ASCAP Foundation’s Aaron Copland Prize for teaching (2000), Berlin Prize Fellow, American Academy in Berlin (2001) and a Guggenheim Fellowship (2003). In addition to his concert music, Bresnick has also written music for films, two of which, Arthur & Lillie (1975), and The Day After Trinity (1981), were nominated for Academy Awards in the documentary category (both directed by Jin Else). 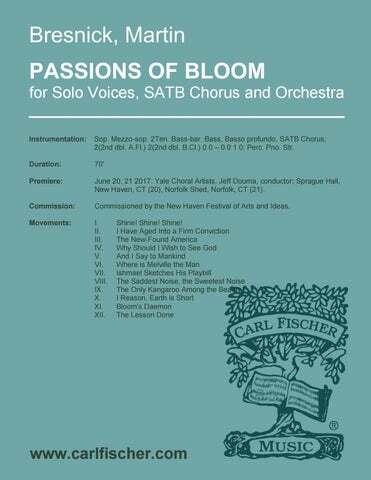 His music has been recorded on Cantaloupe Records, Composers Recordings, Inc., Centaur, New World Records, Albany Records and it is published by Carl Fischer, LLC (NY), Bote and Bock (Berlin) and CommonMuse Publishers (New Haven). 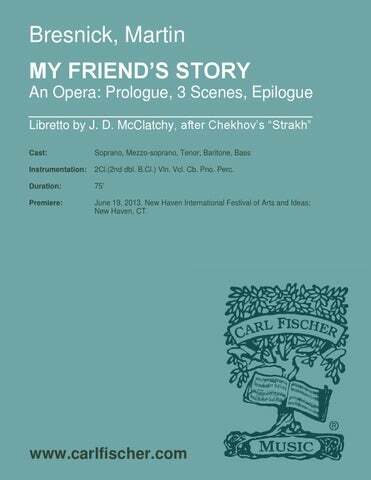 15:00 Solo soprano, mezzo-soprano, tenor, bass-baritone voices; actors/mimes(5); Fl. (Picc., A. Fl. ), Ob. Cl.(EbCl. B.Cl.) Bsn. ; Hn. ; Perc. Hp. ; 2Vln. Vla. Vcl. Cb. 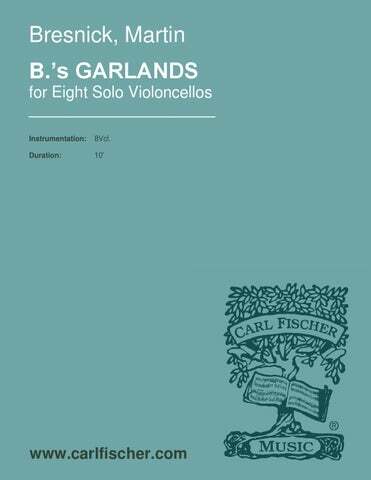 For Eight Solo Violoncellos 10:00 8Vcl. 7:00 2Fl. 2Ob. 2Cl. 2Bsn. S.Sax. A.Sax.(B.Sax. ); 2Hn. ; Vcl. Cb. 15:00 Solo soprano, mezzo-soprano; narrator (or tape); fl.(picc. ), cl.(b.cl. ), s.sax.(t.sax. ); cor., tbn. ; perc. ; vla., vcl., cb. 7:00 2Fl 2Ob. 2Cl. 2Bsn. ; 4Hn. 2Tpt. 2Tbn. 7:30 – 22:30 Fl. Cl. Bsn. ; Hn. Tpt. Tbn. ; Vln. Vla. Vcl. (part of Opera della Musica Povera) 8:00 3 3(dbl. E.H.) 3(B.Cl.) 3 – 4 3 3 0; Timp. Perc. Str. 4:30 2 2 2 2 – 4 3 3 0; Perc. Str. 20:00 Solo mezzo-soprano voice; 2(dbl. A.Fl.) 2(dbl.E.H.) 2(dbl.B.Cl.) 2 – 2 2 2 0; Perc. Pno. Hp. Str. 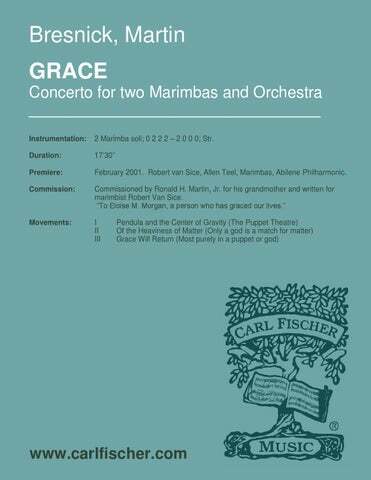 for Two Marimbas and Orchestra 18:00 Solo mar. (2); 0 2 2 2 – 2 0 0 0; Str. 10:00 2(dbl. A.Fl.) 2(dbl.E.H.) 2(dbl.B.Cl.) 2 – 2 2(dbl.Flg.Hn.) 2 0; Vib. Str. 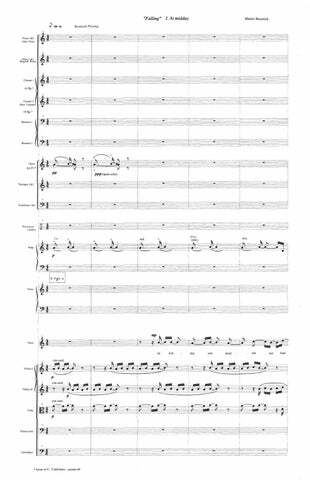 for Flute and Orchestra 18:00 Solo Fl; 0 2 2 2 – 2 2 2(B.Tbn.) 0; Vibraphone; Str. 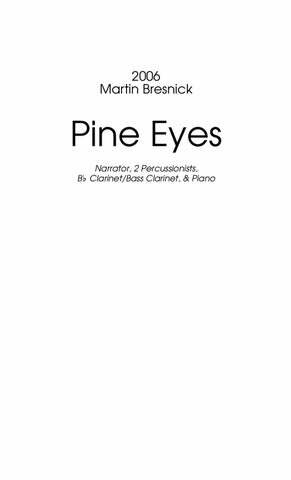 for Two Flutes and Orchestra 18:00 Solo Fl(2); 0 2 2 2 – 2 2 2(B.Tbn.) 0; Vibraphone; Str. 14:30 3(Picc.) 3(E.H.) 3(B.Cl.) 3(Cbsn.) – 4 3 3 1; Timp. Perc. Pno. Str. (Movement II from “Pan Penseroso”) 2Solo Fl. ; 0 2 2 2 – 2 2 2(B.Tbn.) 0; Str. (part of “Opera della Musica Povera”) 15:00 3(dbl. Picc.) 3(dbl.E.H.) 3(dbl.B.Cl.) 3 – 4 3 3 0; Timp. Perc. Str. for Orchestra 1030 2(1 dbl. Fl.) 2 2 2 – 2 2 0 0; Timp. 1Perc. Str. (arr.) 25:00 1(dbl. A.Fl.) 1 1 1 – 2 1 0 0; Str. 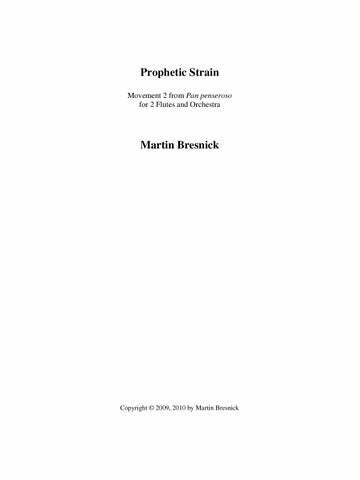 Bresnick’s music holds the key to what makes him a great teacher; more than almost any living composer I know of, he is able to take the most basic, plain materials and spin them out into compelling dramatic structures … he is able to combine a rich harmonic palette and often disruptive or highly contrasting gestures with compulsive repetition. He’s able to blend high dissonance with bread-and-butter triads into a personal mix where all seem part of a natural continuum. …appealing on musical terms, yet the poems, unspoken, gave a burning fire. …full of power and poignancy. …weaves a beautiful, though painful, picture. Bresnick’s expanded modalities canvassed a 12-tone language that was never austere, never arrogant. Artful use of sostenuto pedal (III) created watercolours of layered overtones, ringing out into the silences like white space in a painting. 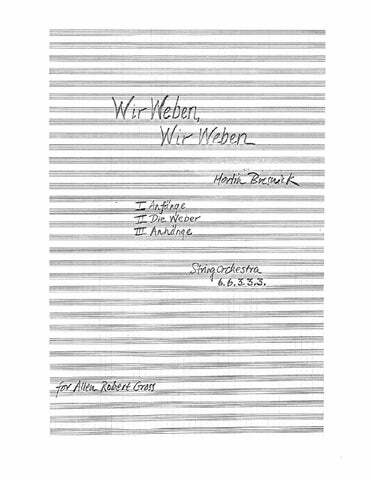 Reminiscent of Messiaen’s organ music, Bresnick’s work evoked spaces of churches – sotto voce utterances surfaced and disappeared again, like conversations heard from the back of pews. …pulses with beautiful, interlocking descending phrases, like streams of water splashing down a hill side. Bresnick masterly developed the polyphonic layers, climaxing to full harmonically stretch using the fullness of the keyboard. Its hypnotic pentatonic riff slowly opens up registrally, discovering beauty in its mourning. …[a] virtuosic set of variations on [a] haunting tune. …exemplifies the mind’s intense attachment and attention to the written word in its most fervent and deeply American uses. …the quality of the lines incorporated, and the distinct tones and musical interplay of the different sections, makes for a riveting listening experience. …an incredible collection of works that vary as much in style and mood than any other composer I’ve heard. 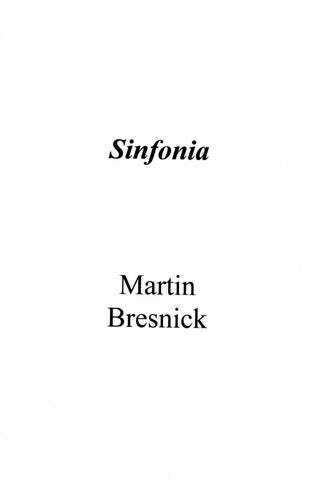 The depth of the music and Bresnick’s ability to pull the listener all the way down into those depths is impressive. 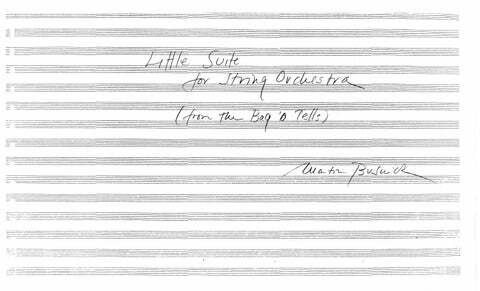 What’s more, the paradoxical thoughts behind the music are imbedded in the compositions. Truly a must listen for lovers of well-crafted music. …a dark and unrelenting processional. 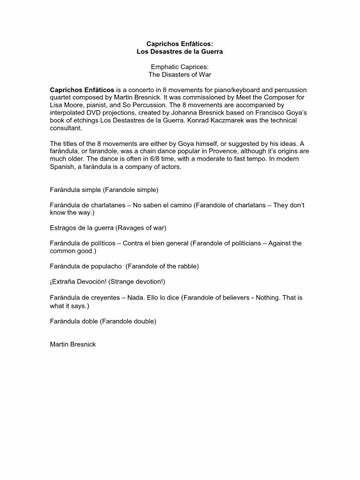 …a lyrical piano piece…depicting a scene from Goya’s horrific set of etchings, “Disasters of War” … The mood here is not one of cynicism it is more like a lament. The piece takes its title from Franz Kafka’s last published story, “Josephine the Singer or the Mouse Folk”…While difficult, it is not unapprachable in any sense. © 2019 Carl Fischer. All Rights Reserved.